Ditch the bikini and summer diet and take a bite out of these 10 shore joints. Before summer comes to a sad end, we must first make sure we’ve inhaled, guzzled, or taken a bite of all of our summertime must-eat foods. Here in the South Jersey shore town of Ocean City, most residents have a list of foods they must eat before they leave the sun and the sand and head back to reality. Most of the items on their lists are one-of-a-kind and are local gems found only Ocean City, which makes it vital that we eat them at least once a summer. It’s similar in importance to finishing the last season of your Netflix series before school starts. My family and friends would call this list the “summer 15,” much like to the well known “freshman 15,” because, well, you get the point. Sure, the foods listed below are definitely not the healthiest of treats, but trust me, they’re well worth it. Plus, you’ll be bundled in winter coats and snow pants soon enough, so no one will even be able to see that your jeans have stretched a bit. I encourage you to put the nutrition content aside for now and just focus on the greatness of each item below. Here are, in no particular order, just some of the best bites to be found on the island. There’s nothing better than waking up after a late night and biting into a sizzling pork roll egg and cheese sandwich on a fresh kaiser roll. For those of you who are not familiar with pork roll, also known as taylor ham, just imagine the best breakfast meat made with a delicate balance of pork and spices grilled to perfection. Wondering where you can find this delicious sandwich? Head straight for Blitz’s market! 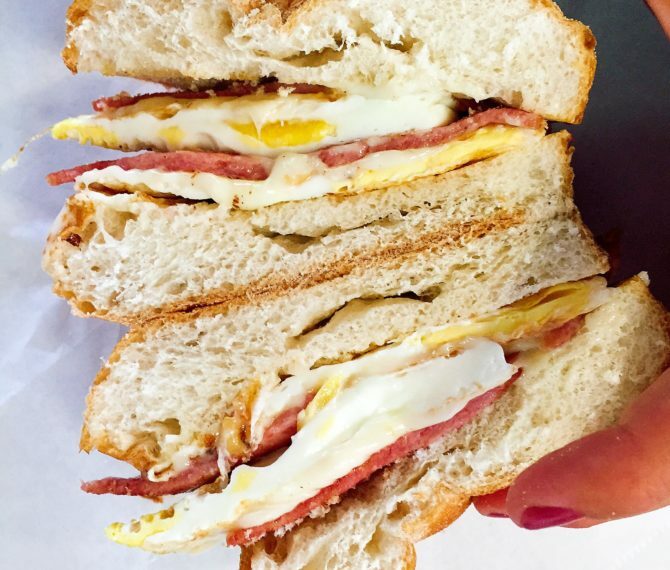 They have the best breakfast sandwiches on the island. Lucky for you, Blitz’s has multiple locations. Have a sweet tooth in the A.M.? Then head to the very beginning of the boardwalk and spot the constant line of people patiently waiting for the most perfect donuts on the island. At Browns you can even catch a glimpse of the creation process, because these donuts are made to order. Biting into one is like biting into a warm cloud of happiness. 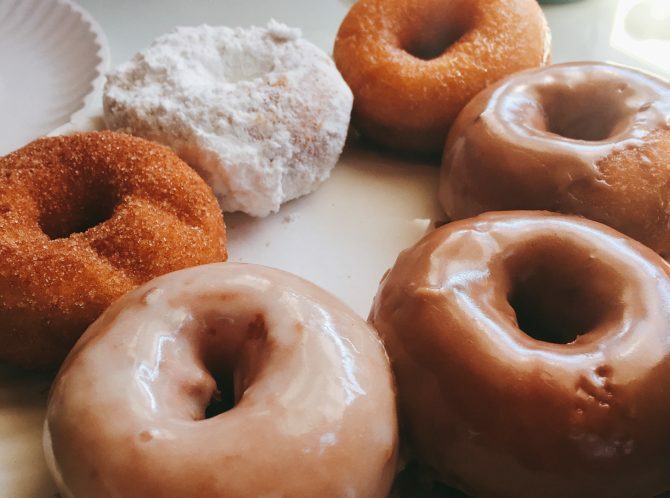 #SpoonTip: listen to the mom you overheard as you walked by a group of anxiously waiting children and let your donut cool down a bit before taking that first bite. I promise you will burn your tongue if you dont. And yes… yes I am speaking from experience. After a long day at the beach, your first thought for dinner is probably seafood. 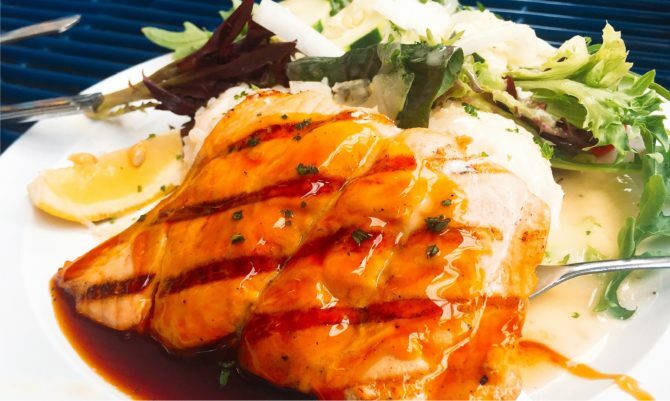 You’ll find the best seafood dinners hidden in a small restaurant called Hula Restaurant and Sauce Co. This place gives off a Hawaiian food vibe with a South Jersey twist. Although everything on their menu is delicious, my personal favorites are the Salmon Teriyaki entree and the firecracker shrimp. With their extended menu, I am sure you can find something for everyone even with a large party. 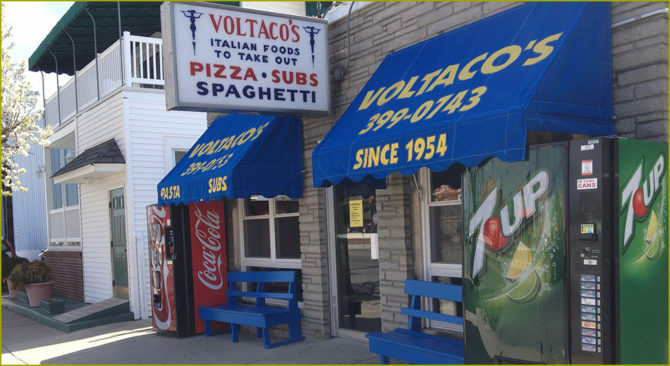 Inside of this beloved take-out only shop, workers create the best rated cheesesteaks and subs, but most importantly authentic Italian meals. My personal favorites are the baked ziti and baked lasagna. But you really cannot go wrong with ANYTHING on their menu. Also, always say yes to garlic bread, always. 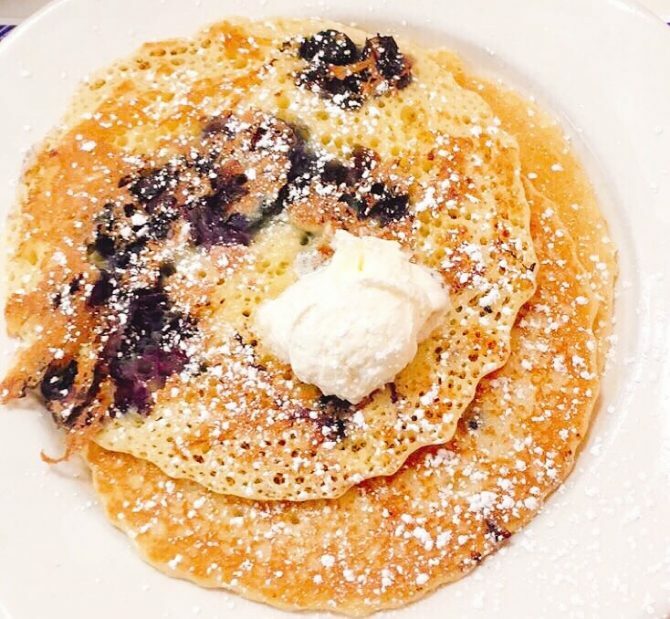 Although Uncle Bill’s has locations throughout other shore towns as well, their pancakes are too good to be excluded from this list. They’re fluffy, they’re light, they’re full of flavor. Uncle Bill’s pancakes put a smile on everyone’s face. My advice, skip the original buttermilk and go straight for the blueberry or chocolate chip. You won’t regret it. This boardwalk must serves up the best caramel corn I think anyone has ever had. 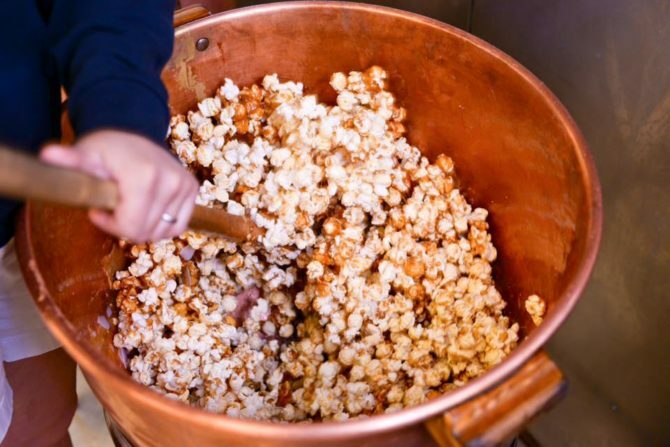 With the perfect balance of popcorn crunch smothered in warm caramel it’s impossible to stop munching. Did I mention you can even get peanuts mixed in? This results in the beloved classic: the sweet and salty combo. #SpoonTip: When they ask you if you’d like the lid open or closed, ALWAYS say open. You know you wont be able to wait till you get home to start munching. PLUS this way you get some extra popcorn! This classic chewy treat actually originated in Atlantic City just 10 miles north of Ocean City. 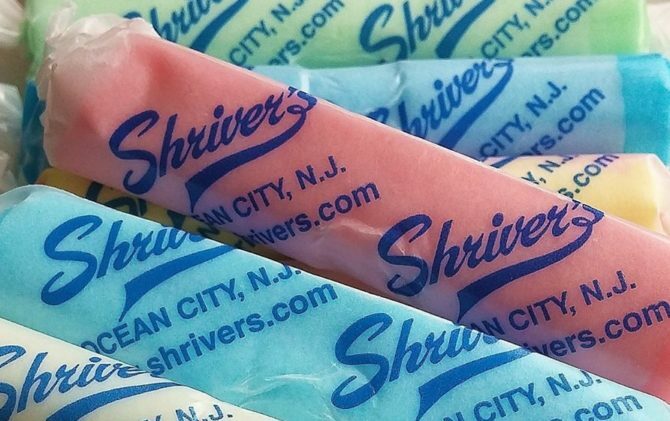 This helps to explain why Shrivers produces the best salt water taffy in the country. So grab a bag and stroll around their salt water taffy self serve bar to choose your favorite flavors. #SpoonTip: Make sure to take a look through the large glass windows in the back for a glimpse of how these magical sweet treats are created. 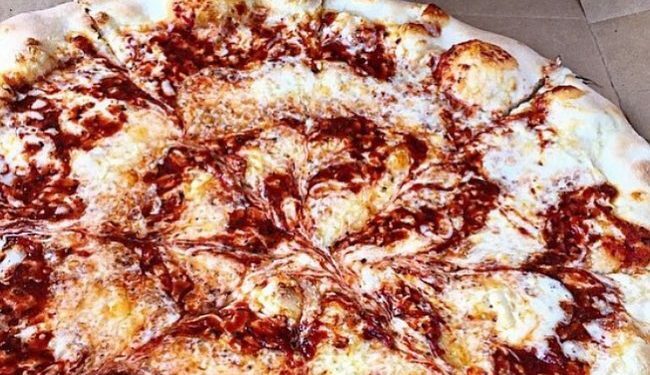 Formally known as Mack and Manco, Manco and Manco’s takes pizza to a whole new level. Here at Mancos and Manco they put the cheese down first on the dough then pour the sauce in a circular motion over top. This offers a great balance of the very very important cheese to sauce ratio. #SpoonTip: If you are just ordering by the slice and plan to sit on a bench across the boardwalk, watch out for the crazy seagulls. They love Manco and Manco’s pizza as much as the rest of us do. 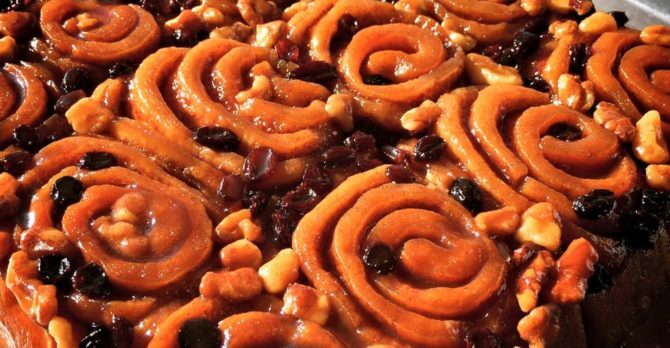 We already covered the best donuts on the island, but we can’t forget about their distant cousin the sticky bun. Mallon’s serves homemade sticky buns like no other. Make sure to get these WITH the toppings (nuts and raisins). Some people even like to put them in the microwave for a few seconds to get them hot and sizzle again once you get home. Warning, these will go as fast as Allyson Felix in the summer Olympics. As you can see, Ocean City, New Jersey wasn’t just voted “Best Beach in America” in a poll by Coastal Living for the beaches itself. It had some help from the family fun environment and the abundant variety of great food and delicious treats. 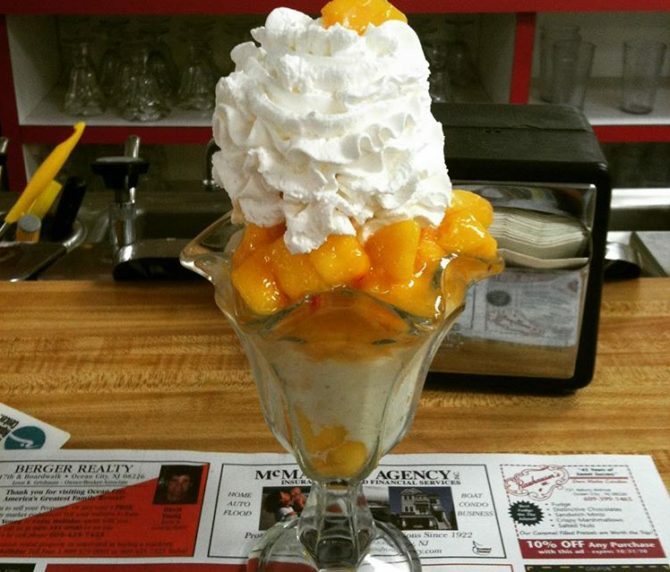 So pack up your car, turn up the tunes, and head down the parkway to enjoy these top 10 bites in Ocean City, NJ.